When you are ready to update your kitchen cabinetry, you must first think about how much money you can comfortably set aside for your purchase. People who are planning to buy cabinets these days have three main choices available to them. The three are totally custom kitchen cabinets, semi-custom kitchen cabinets, and off-the-rack kitchen cabinets. When you’re ready to actually place an order, your budget will play a massive role in which one of these choices you decide is right for you. Off-the-rack kitchen cabinets are precisely what you’d expect them to be. These are sold by home improvement shops complete with finishes and hardware. They are the most affordable of the three cabinetry options. Semi-custom kitchen cabinets are the most popular choice right now. If you decide to buy these, you’ll get to pick a door style, a finish, and certain custom organizational features. 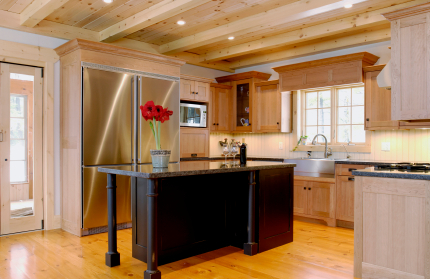 Semi-custom cabinetry is affordable on many families’ budgets. Fully custom kitchen cabinets are the most expensive choice on the market today. These are generally made by craftspeople and are engineered to fit perfectly into particular rooms. Quite frequently, custom kitchen cabinets are are constructed in a room and attached to the walls. Cabinetry that falls into this category frequently has a price tag of at least ten thousand dollars. Look at Different Cabinetry Styles In Order to Make Your Decision Nowadays, people can select from a wide range of styles of cabinets. In order to determine which one you like best, you ought to view a wide variety of inspiration pictures on the web and in printed publications. If, for instance, you tend to gravitate toward items with a rough and rustic appearance, you might want to consider Shaker cabinetry.